Liberally Lean From The Land Of Dairy Queen: Is It Possible We Could Round Up A Wise County Posse Right Now? Is It Possible We Could Round Up A Wise County Posse Right Now? Daily Mail – A young dolphin has died of suspected dehydration after being paraded around like a trophy and stroked by a crowd of sunbathers who then abandoned it on the sand. 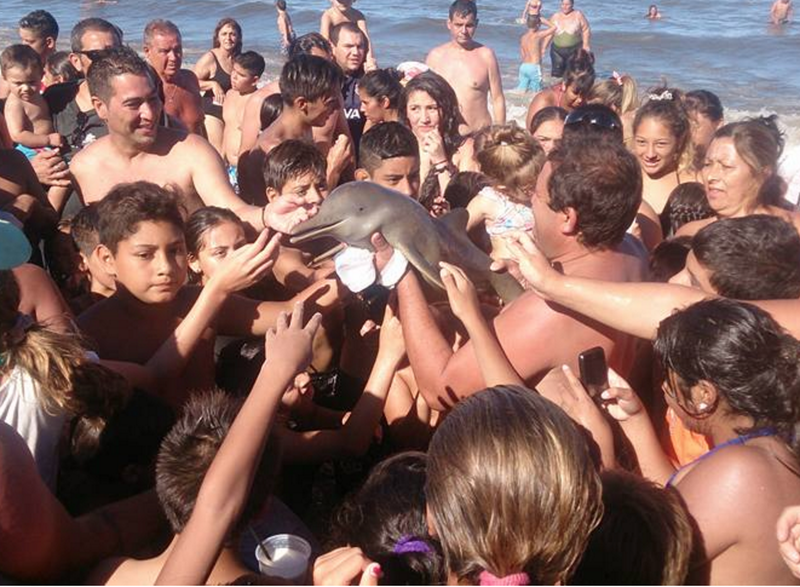 The group of people huddled around the mammal taking selfies after it was found on the Argentine beach resort of Santa Teresita in the north-eastern Buenos Aires Province.